In a company, the 'system administrator' often needs (for maintenance or assistance) the access to one computer (host) or more PC which are physically located far from where he works (e.g. remote servers). Some software companies and computer services use Virtual Network Computing (VNC) technology to provide remote tele-assistance to its customers via Internet. Moreover, a home user can benefit from 'remote access' as such he can works on his office PC from the comfort of his own home PC (work from home or tele-working)! To fulfill all these tasks there are specific software and services (both free and with fee) suitable for the purpose. But what are the most suitable services and software to access and control a PC remotely ? On Microsoft's Operative Systems Windows XP Professional and latest there is the function "Remote Desktop Connection"
You must first enable the Windows host PC: e.g. on Windows 7, click on the Windows Start button and select Computer voice with the right button of the mouse, then click the Properties option. In the opening window, click on the item Remote settings. Click the radio button "Allow Remote Assistance connections to the computer and select" either "Allow connections from computers running any version of Remote Desktop" (less secure) and "Allow connections only from computers running Remote Desktop with Network Level Authentication" (more secure). The first is less secure but allows you to receive remote assistance from any version of Windows, the second is more secure but allows you to receive remote assistance only from other computers with Windows 7. At this point you can remotely control the PC via another PC on the same local area network LAN. You just have to launch the Microsoft Windows Remote Desktop Connection client software (start -> all programs -> accessories), enter the name or IP address of the PC you want to control and then the access credentials (username and password). 2) Software and Services with remote access via the Internet. In essence are websites that offer limited services for free or unlimited services but with fee that allow you to register an account and assign it to one or more host PC. Usually to "assign" the PC account you need to download and install a special software. Finally, to use the service you have to authenticate via web browser and access to a Remote Desktop Manager page, and you can choose which PC to activate and use it remotely. In other cases it is sufficient to download a software (client / server) to run both on the PC by remote control, and on the PC that you use to log in and control. For example, in telecare enough that the customer notifies the operator login code and password shown on your screen when the application software, and from that moment on, the operator can access the client PC and work quietly in remotely to provide the requested assistance. With some types of software you can also permanently install the application on the PC (host) and immediately access to the remote PC without typing the password and without the presence of a user for authentication (PC unattended). As a system administrator it is helpful to have more access doors, so you might want to enable Remote Desktop on any PC on the network, and activate a service such as LogMein for access from the outside via the Internet. For those not satisfied and wanting to further access to the PC via a local network, you can also install UltraVNC VNC software and related services on a PC on the LAN. Chat to communicate with the client by exchanging short text messages. VOIP function to communicate by voice with the customer. File Transfer to copy or synchronize files from your local PC to the remote one (and vice versa). Remote Printing to print files from a remote computer to a local printer. 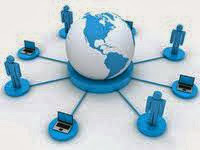 Remote Management to display the events, and to start and stop the services of the remote PC. Sharing the Desktop to show the others what you are viewing on your Desktop. the ability to access remotely using your smartphone. Update function and remote monitoring to keep track of all the hardware and software of the host PC and update the O.S. remotely. Remote Desktop Manager that shows all PC remotely available.